Bangor city councilors will consider a moratorium on construction of a psychiatric center on Hogan Road. On Monday night, Bangor city councilors will consider a moratorium to temporarily stop a new psychiatric facility in the city. Councilors have been backed into this corner by the LePage administration’s continuing refusal to answer questions about the new facility, which it says is needed to house patients in state custody who don’t need the high level of care given at the state-run psychiatric center in Augusta. Because Gov. Paul LePage and the Department of Health and Human Services have refused to answer basic questions, such as why it needs to be in Bangor and why it won’t be state run, the project and, worse, the people it would serve are now surrounded with suspicion, concern and fear. This is a tragic failing by an administration that has run the state’s mental health care system so poorly that its central facility, the Riverview Psychiatric Facility in Augusta, has lost its federal accreditation and faces a $51 million federal penalty. It has also turned the focus away from how best to meet the needs of patients at Riverview who have been accused of crimes but found, by a judge, not criminally responsible or incompetent to stand trial, to an argument over zoning and transparency. The only reason the LePage administration is moving ahead with plans to build the facility in Bangor is because the governor has refused to answer even basic questions from lawmakers about the new center. Logically, the new facility should be in Augusta, home to the state-run Riverview Psychiatric Center. Building it there would require that LePage and the DHHS to get legislative approval for their plans. Attorney General Janet Mills says the Legislature must approve the new facility, no matter where it is built. But rather than work in this logically coordinated way, LePage is moving ahead with plans to build in Bangor, putting the city in an unnecessarily adversarial position, as it now seeks answers to the same questions to which the LePage administration has provided woefully inadequate answers all along. The Legislature’s Health and Human Services has repeatedly sent questions to LePage and DHHS. They have not received complete answers. The same is true for the Appropriations Committee. In May, Bangor City Manager Cathy Conlow requested a meeting with state officials to have questions answered, such as who would own the facility and how it would be managed. In a July response, LePage told her to look at the request for proposals and the request for qualifications posted on state websites. Neither document answers the many questions that have been posed to DHHS and the governor’s office. These documents do not answer why a brand new facility is needed, why it should be constructed in Bangor rather than co-located with Riverview where these patients are now held, or how it will be paid for. Nor does it clarify why a private entity, rather than the state, should operate the facility or how it will be managed to ensure patient care meets state and federal standards and court-imposed requirements. 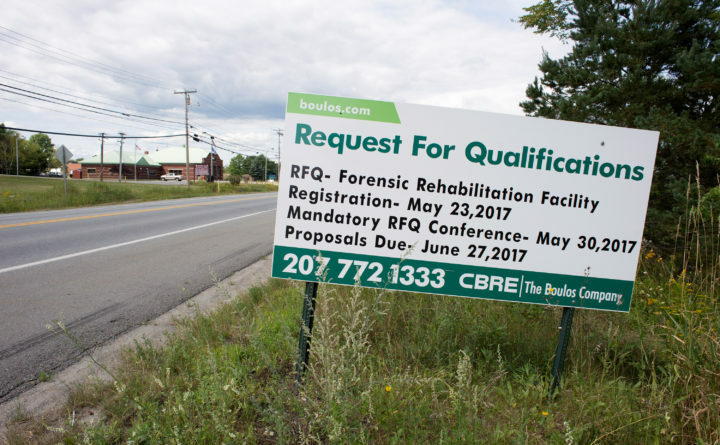 In his July 10 letter, LePage dismissively told Conlow that “participation from the City of Bangor and its services will not be necessary.” Of course, it is not possible to build an 8,300 foot structure to house 21 forensic patients, which will require staff and services, without ever needing Bangor’s participation or services. It is also insulting to Bangor residents that the governor doesn’t care about their concerns and ideas. Because Bangor’s services will be needed, city officials must participate in decisions about the new facility, if it is to be built here. Unfortunately, the only avenue the LePage administration has left open for Bangor officials is adversarial. Imposing a six-month moratorium will slow the project, which should finally force the governor and DHHS officials to answer questions about why building a privately run facility in Bangor is the best way to serve the needs of mentally ill Mainers who are entrusted to state care.